Heavy artillery was used in all sectors. 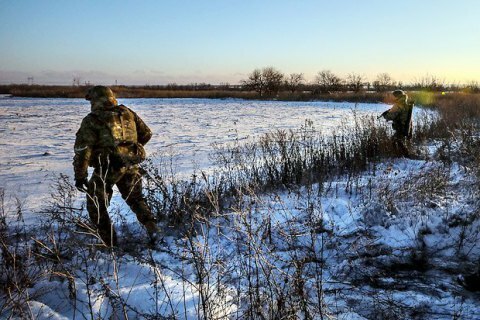 On Tuesday, 7 March, seven Ukrainian soldiers were wounded and sustained injuries as a result of hostilities in Donbas. Over the past 24 hours, the militants supported by Russia waged 108 shellings at the positions of Ukrainian army, the ATO headquarters said in a morning report Wednesday. Heavy artillery was used in all sector, including Zaitsevo (Donetsk sector), Talakivka and Taramchuk (Mariupol sector), and Krymske (Luhansk sector). Pivnichne (formerly Kirovo), Butivka coalmine, Luhanske, Avdiyivka, Verkhnyotoretske, Zaitseve, Krasnohorivka, Pavlopil, Vodyane, Maryinka, Talakivka; Malynove, Orikhove, Novooleksandrivka, Krymske and Novotoshkivske were shelled with the mortars of various calibres. Also, the positions of Ukrainian military in a number of settlements were shelled from small arms, grenade launchers, infantry fighting vehicles and heavy machine guns. On March 6, one Ukrainian soldier was killed, and four were wounded in Donbas.